Command your troops as they battle hordes of zombies! You command the red units. Kill the green units. 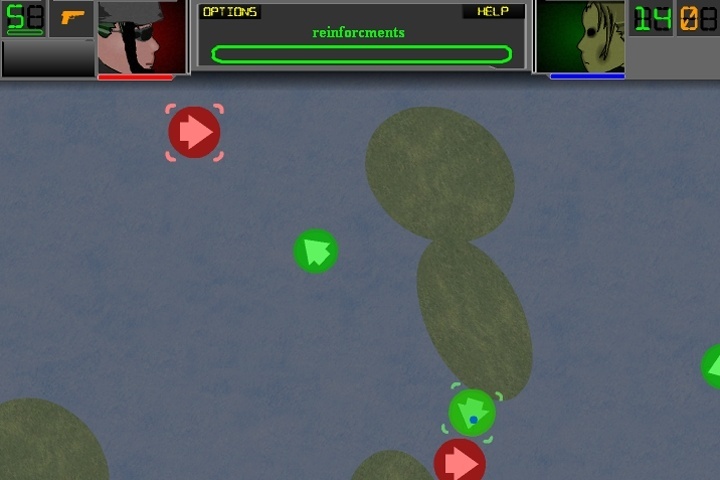 Select units by clicking on them, move them by clicking on the ground and attack enemies by clicking on them. You can attack enemies with crosshairs on them especially the ones that come in contact. Watch out for the number of units in the squad, you don't wanna be left alone. You can also buy vehicles and guns. Advance your line to the enemy's line to win the mission. Are you ready to give commands? Spacebar - Pause / Play. For more information review the in game manual. If you want to play Autumn War games online you have come to the right place! GamesLoon adds new Autumn War games every week. This is your game portal where you can find the biggest collection of free Autumn War games online. Do not forget to rate our Autumn War free online games while playing!